I can’t believe we’ve never been to Rose on Roberts before. The food is incredible, the craft beer selection and wine list is great, the staff both knowledgeable and friendly, with a fun, yet family friendly atmosphere. We should have known we were in for a treat when the complimentary bread was served. 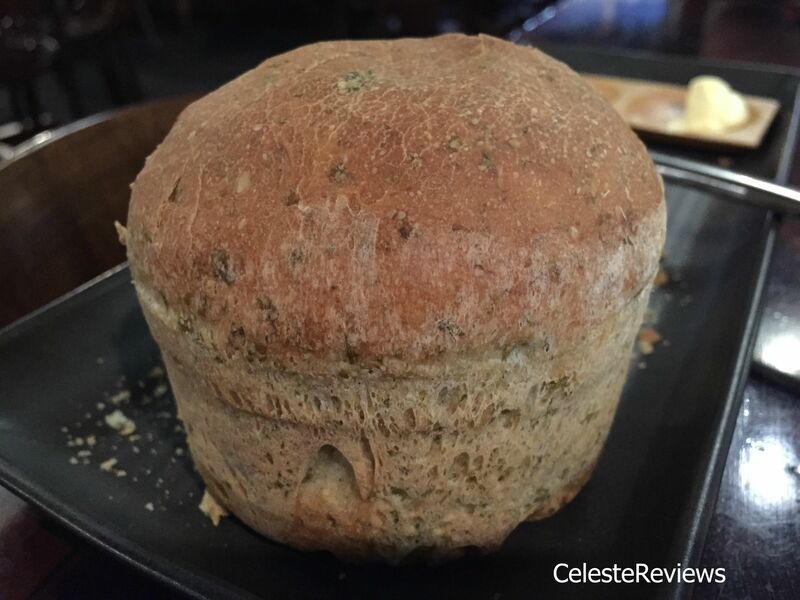 A warm loaf of nori seaweed bread, with a dollop of truffle butter. Absolutely gorgeous. For an entree, I chose the a Yam Soup ($10). I was a little nervous, but it was a great choice – flavoursome and hot (which is always a bonus), and a lovely start to a chilly evening. 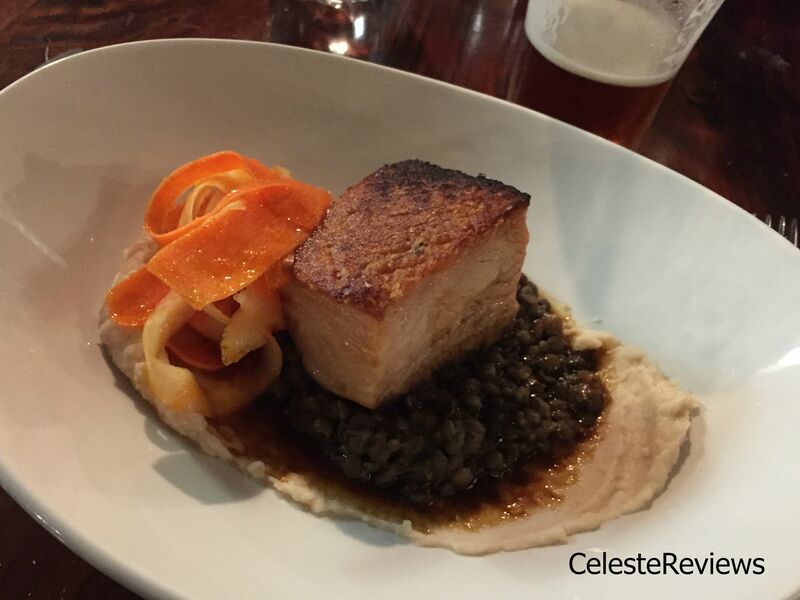 Hubby started with the Pork Belly starter, served with white bean puree, lentils, carrot and daikon salad ($16). As a vegetarian, I have no concept of this, but apparently the crunch/pop you get when you cut into it was “perfect”. There was nothing left on his plate, so I believe him. 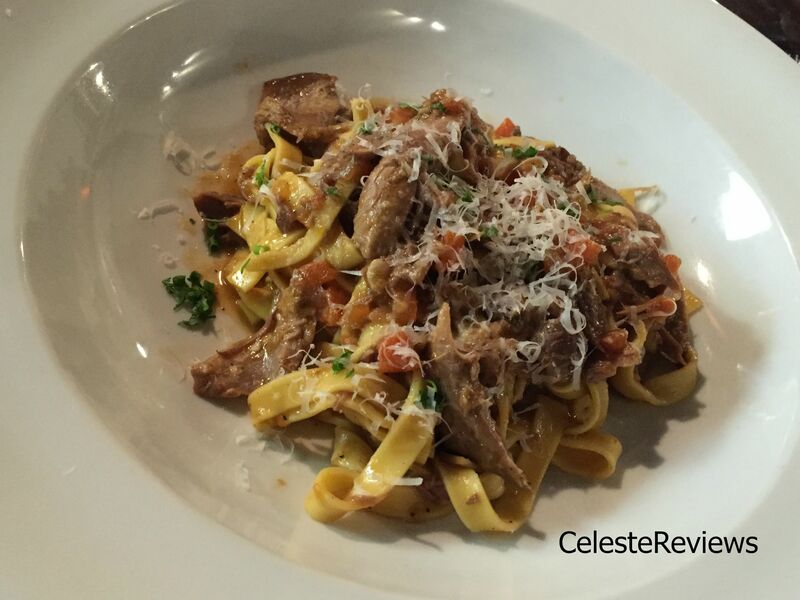 For mains, Hubby chose the pasta special – braised duck legs with tagliatelle and parmesan ($30). Once again he was impressed with his selection. 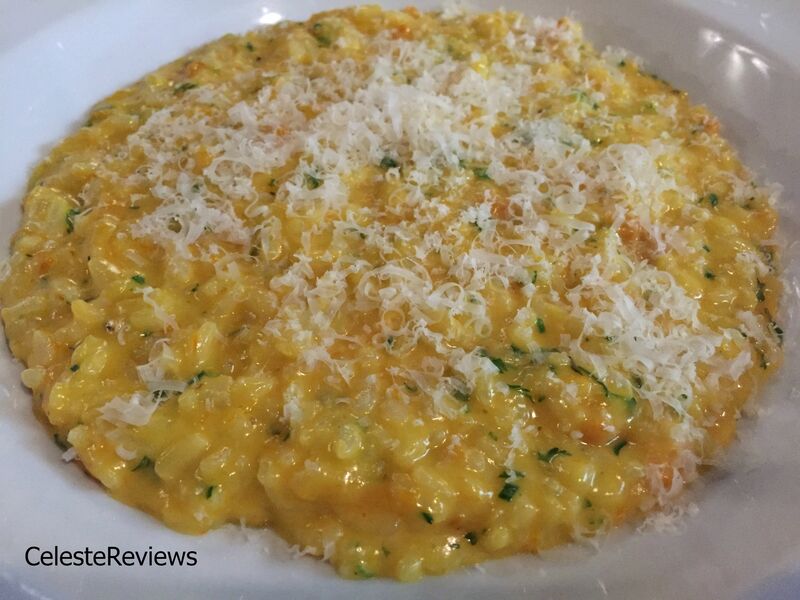 My order, was a generous serving of pumpkin risotto with creme fraiche ($28). So generous in size, that I couldn’t finish it – however it was very tasty. I’ve included the pricing in this article, because I want to let you in on a little secret. Who hasn’t used BookMe yet? We dined on the Rose on Roberts 6pm dining, 3 courses for $32.90 special from this site. Phenomenal value! Which brings me to dessert. Hubby and I are usually so full by this stage in the evening, that we are lucky if we can even share a dessert between us. But, because we ordered the 3 course special, we had to try. We both ordered the beautifully presented chocolate dish – Valrhona peanut slab, chocolate mousse, chocolate sauce, chocolate and peanut ice cream ($16). It broke me! Hubby had to roll me out in a chocolate coma! Delicious, but way more than I could fit in my belly. Don’t forget a trip to the bathroom to admire the quirky quotes. All in all, we were very impressed with our dining experience. Hubby wants to return with meat eating family members to give the ‘Whole Slow Cooked Lamb Leg to Share’ ($80) a go. Sunday roast, anyone? 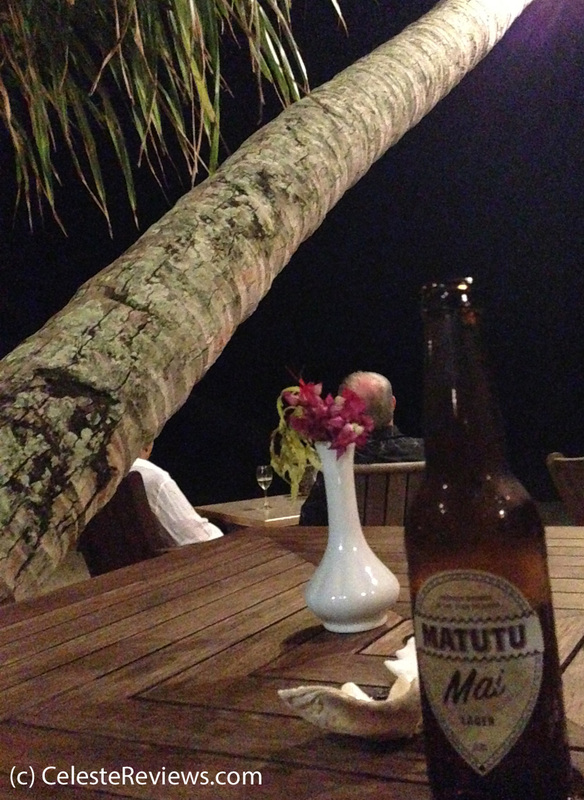 A moonlit beach, my feet in the sand, a glass of Matutu (the local Rarotongan beer) in hand, and my hubby by my side. Now THIS feels like I’m on holiday. In fact, it was a very similar romantic setting in Phuket, on the night we got engaged. All that was missing is the Thai Elvis crooner – but that’s another story. Leaving Nana in charge, we’d managed to sneak out for a civilised adult dinner, after the twins had gone to sleep for the night. Vaima Polynesian Bar and Restaurant was the perfect spot to enjoy such an evening. We managed to secure a table on the beach, under a coconut tree, just 10m from the gentle lapping waves. It was too dark to see the ocean, but there is something so very soothing about the sound of waves. 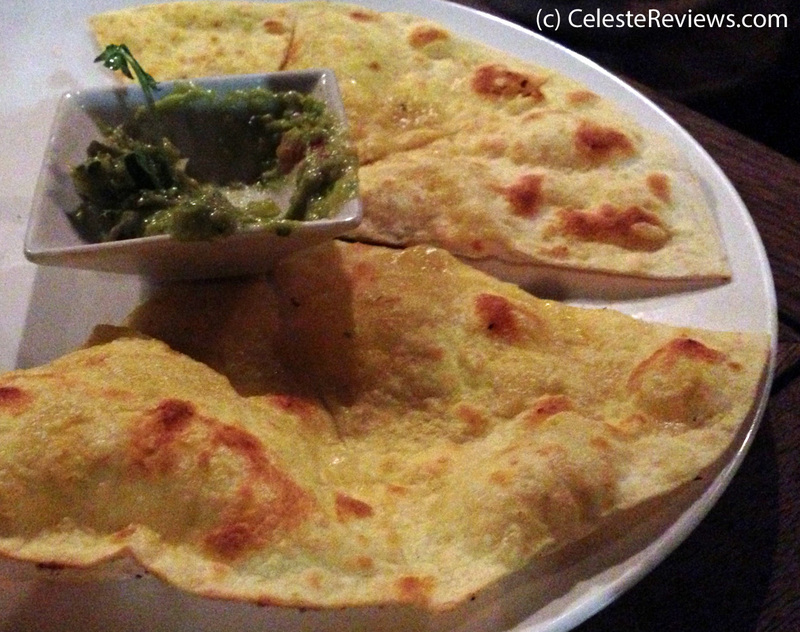 We relaxed into the rare date night with a starter of cheese and garlic pita bread, accompanied by a gorgeous guacamole dip. The menu is relatively small, but covers lamb, pork, fish, chicken, and steak. Although the usual vegetarian options of pizza and pasta were offered, I took a gamble on the vegetarian curry ($29). 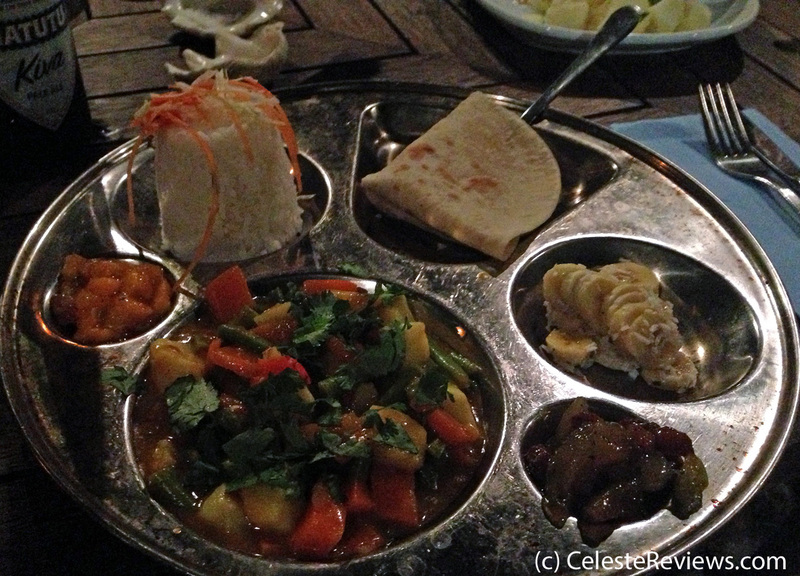 The presentation of the dish contained little dividers to separate the rice, curry, roti and condiments. It was a slightly hot version of the ‘medium’ curry I’d ordered, but delicious all the same. 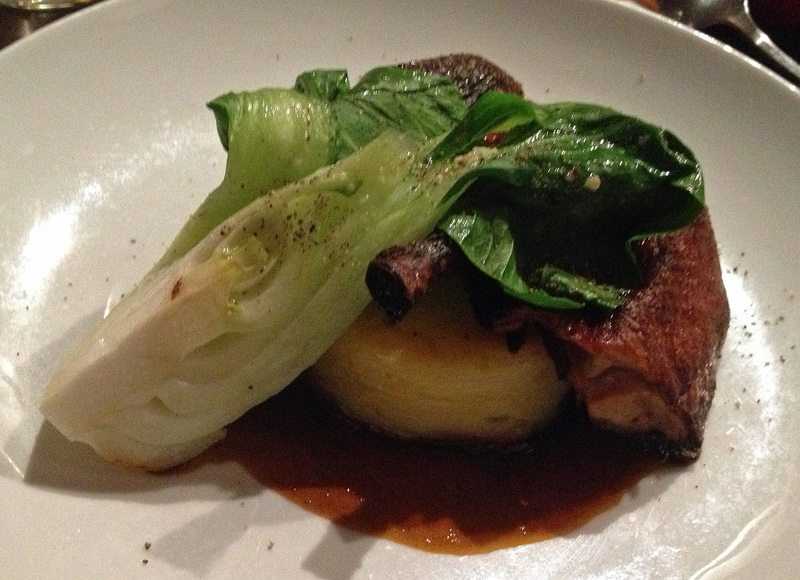 The Hubby’s pork belly ($28) was “awesome”. A huge portion of meat, accompanied by very few veges (which is just the way he likes it). The ‘funny’ for the evening was Felix the cat. Stretched out along the counter, the staff had to give him a poke before I’d believe he wasn’t a stuffed animal. We enjoyed our evening so much that we popped in for a night cap and dessert the next night we could sneak away childless. Petite fours should be on every menu, as it’s much better to try a little bit of everything for dessert menu, rather than having to choose just one. 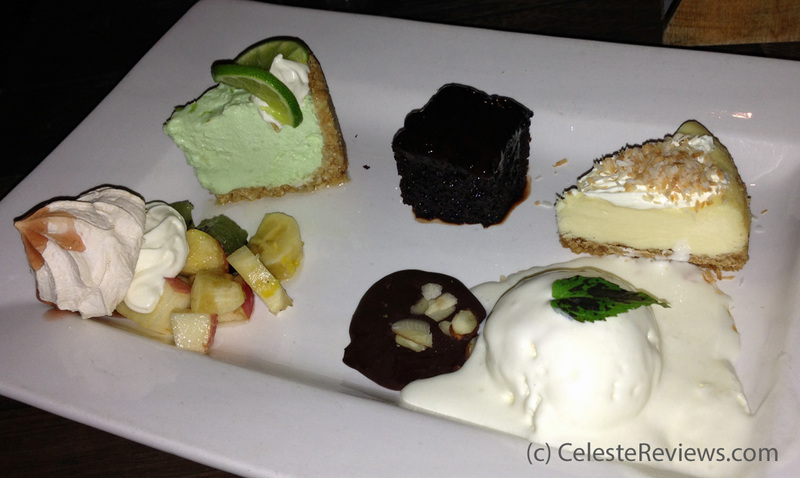 Key Lime Pie, Pavlova, Chocolate cake, Cheesecake, with a ball of ice cream and a small slab of chocolate. Calories don’t count when you are on holiday, do they? Top Tip: Apparently their takeaway Pizzas are also fantastic. In a Nutshell: A romantic setting, with fabulous food and a nice vibe. Make sure to save room for dessert. The odds were against us; everyone in the house (even the dog) had been ill all week, we were tired and grumpy, and it was pouring with rain. However, I was determined we were actually going to enjoy a dinner out. My birthday had passed during the week with little fan fare, we had a willing babysitter (very novel when you have twins), and by god – it was Saturday night! If not tonight, then when would the next chance be for hubby and I to have a semi sophisticated evening, in public, without kids? With the weather so atrocious, the decision was made to avoid the central city, or anywhere that parking was going to be an issue. So after consulting the trusty Entertainment Book, we ventured out … to Greenlane (of all places). From the moment we walked through the door, the service at The Abbey Bar & Kitchen was impeccable. They took our sodden coats and chatted away in a genuine and friendly manner. We felt right at home. The lovely waitresses were not just knowledgeable of the food on offer, but also on their wine list, and wine in general. An absolute refreshing change to the decidedly average service one often experiences in New Zealand. The decor is predominantly dark wood and welcoming, with a bookshelf-come-cellar feature wall, spouting quotes such as ‘in wine lies truth’ and ‘within the bottles depth, the wines soul sang one night’. My personal favourite in the collection was by Ralph Waldo Emerson, ‘a man will be eloquent if you give him good wine’. Really? I find they just get more animated and a little louder, but what do I know? We started our meal by sharing the Abbey’s spin on garlic bread – Turkish pide and garlic butter, served with a mild hummus. A cold Monteiths Golden Lager also helped to cleanse the palate. I was delighted to see some creativity in the vegetarian options available. 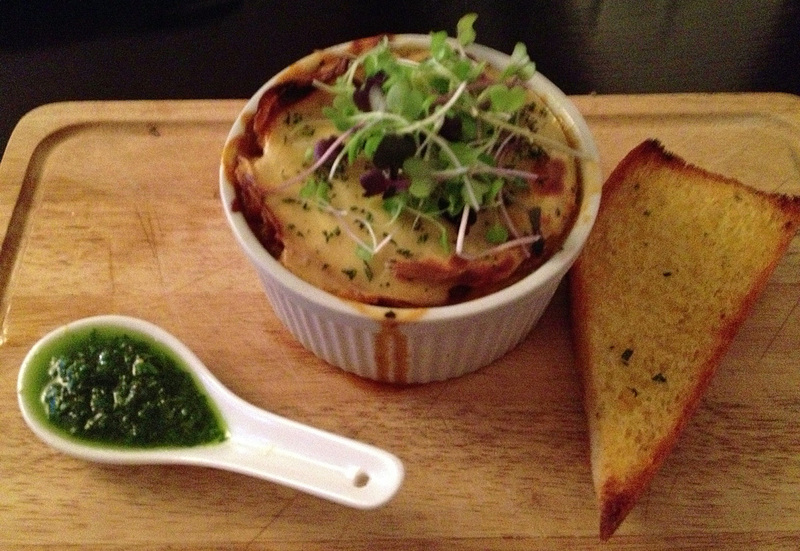 I will be back to try their raviolli entree, but went straight for a main of the spinach souffle. 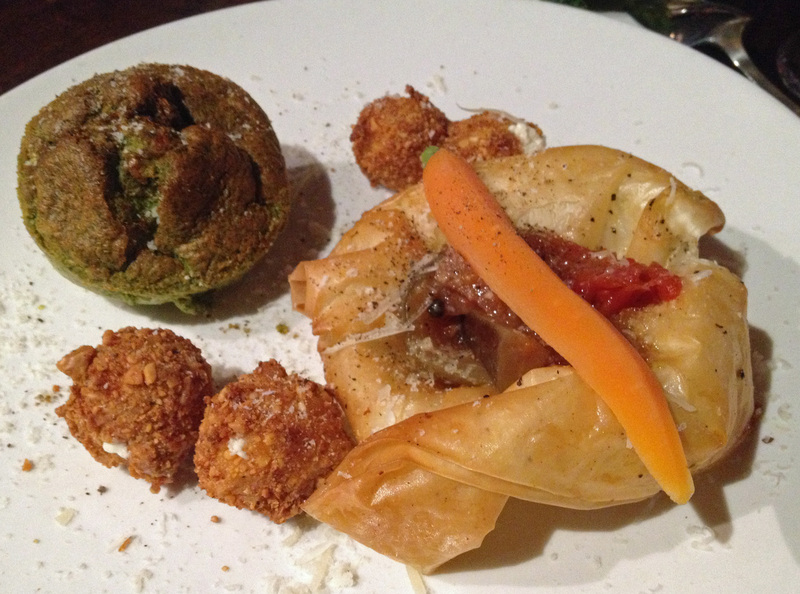 The colourful souffle was accompanied by amazing dukkah crusted goats cheese croquettes (yum) and a filo cup of vegetables, topped with a carrot. Filo definitely does not make for first date food (the mess!) so luckily I didn’t have to impress the hubby with my dining skills. By itself, the souffle was a little bland, but mixed with morsels from the rest of the plate, the dish became very flavoursome. I selected the Weeping Sands Montepulciano as an accompaniment, which perhaps wasn’t the safest match with this dish, but I was determined to enjoy a glass of decent red with my first meal out in months! The hubby choose the duck. A generous portion, glazed in tawari honey, served with a potato cake and bok choy. He was a very happy camper. We also selected a side dish of tenderly steamed vegetables to round off the meal, and to satisfy my vegetable cravings. Located between the Ellerslie and Greenlane motorway exits on Great South Road, The Abbey is settled between car yards, real estate agents and a gym. Not much of a view, but a handy spot none the less. Top Tip: The lunch menu also looks tasty. It’s in the Entertainment Book. In a Nutshell: Great service, lovely food. We will be back. South Auckland seems to be a little lean on fine dining establishments, so with an important occasion to celebrate, we set off to Highbrook’s Fisher House. We’d once previously attempted to dine here, albeit unannounced, but were turned away as the kitchen had closed due to no reservations. So, this time, I made a reservation and was informed their latest sitting was 7pm. Who’s ever heard of a restaurant that closes their kitchen at 8pm on a Saturday night? Luckily the babysitter was adventurous and accommodating. But, my concerns was raised, and I’d already decided that I probably wasn’t going to enjoy my dining experience. Boy, was I wrong! 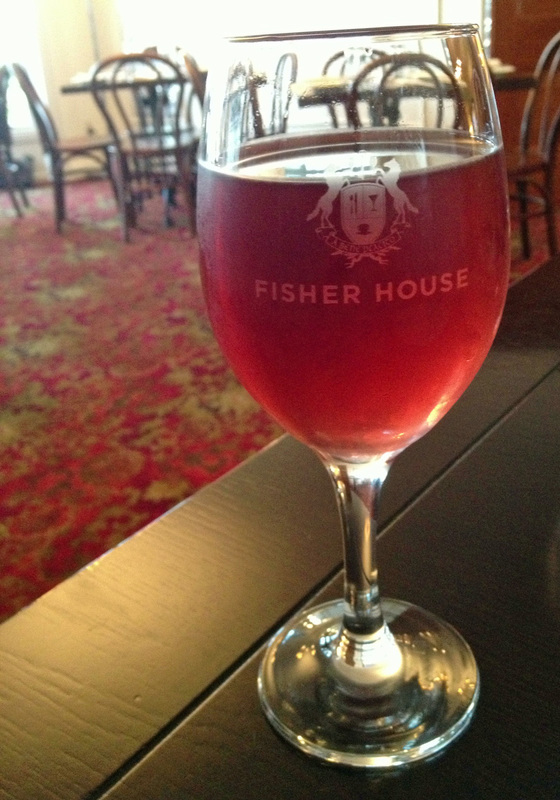 Maybe it’s our lack of dining experiences of late, or maybe Fisher House is just THAT good. Built by Sir Woolf Fisher in 1962, Fisher House was set on a 177 acre horse racing stud farm, and known as the Ra Ora homestead. Rich in equine heritage, it has been refurbished with the grandeur of 60’s and 70’s entertaining with a grand curving staircase, and epic wallpaper. Such elegance seems slightly out of place among the growing industrial sprawl of the corporate head offices of Highbrook, though the location could explain the early closing time of this establishment. The service was outstanding, with the waitress answering (or gladly finding the answer) to all my annoying wine and vegetarian questions. The food – one word – divine. 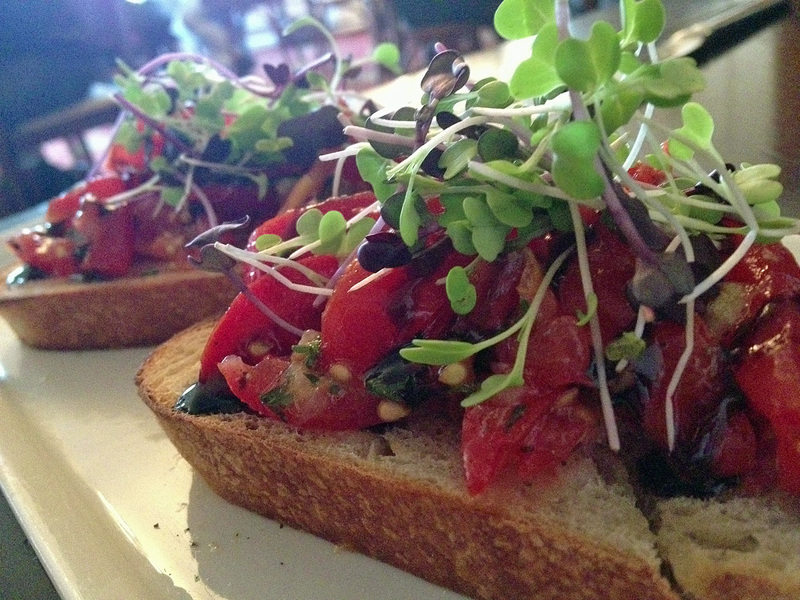 We started on a very flavoursome bruschetta topped with mouthwatering vine tomatoes and basil, drizzled in balsamic and topped with micro greens. As the ever annoying vegetarian, I was a little disappointed that both my entree and main options were based on goats cheese (tart or torte). So we opted to skip the entree and move straight to the main event. This ended up being a very wise decision, because there was no way I would have been able to consume both. The torte consisted of a large ramekin layered with Mediterranean veggies and goats cheese. A delicious combination of flavours and oh, so filling. The dish was accompanied by baby greens, an interesting salsa verde, and a slice of garlic bread. The husband, with gleeful mutterings of words such as ‘awesome’, obviously enjoyed his pork dish. The generous cutlet, glazed in cranberry, was served with apple braised red cabbage and a particularly tasty mustard potato mash. Now, I’m not one to rave about side dishes. 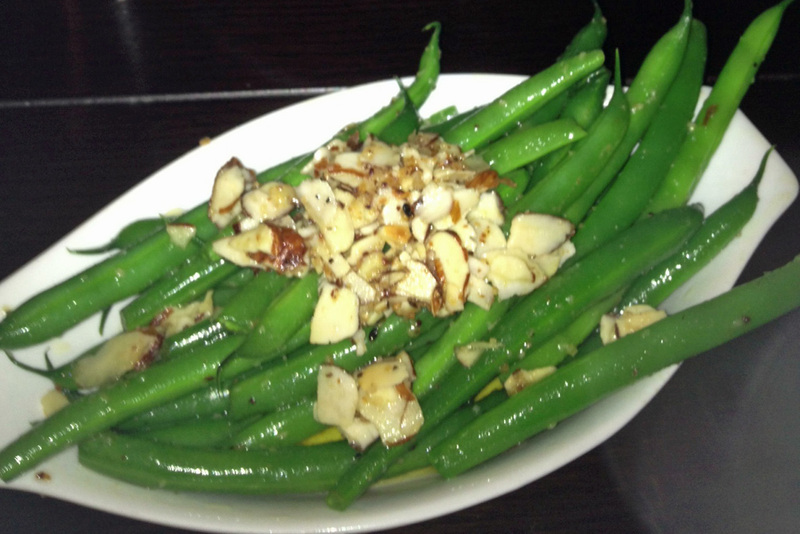 I often only order these to ensure I have ample vegetables on my plate, however you must save room for the beans. Perfectly crunchy, cooked with lemon and topped with almonds. I’m salivating just thinking about how good they were. I usually take a quick peek at the dessert menu, just to see what’s on offer, but 95% of the time I never order anything. Blueberry tart, chocolate tart, pavlova – ho, hum. And then, “Hello” – peanut butter layered mousse with a biscuit crumble and a shot glass of chocolate sauce on the side. “Yes, please. Don’t mind if I do”! It was rich (glad I talked the hubby into sharing), but a fantastic balance of sweet versus creaminess. Think creamy Reese’s Pieces and uncooked cookies and cream biscuit dough, covered in chocolate. Yum! Well and truly satisfied, I was done! I almost couldn’t take the final sip of my Neudorf Pinot Rose. I’m even going back next weekend to try out their High Tea! Top Tip: Make a reservation, so the kitchen will be open. Also, don’t plan for it to be a late night. In a Nutshell: What are you still reading this for? Saddle up and make your reservation. PS: If anyone has any other favourite South Auckland dining ideas for me to try, please let me know. Being the latest addition to the Lone Star Family, the recently opened Taupo restaurant is certainly busy. It’s a brand new, two storied, fancy pants complex, situated on the lake front between KFC and the new ‘Coffee Club’ cafe. We’d heard a few horror stories from locals regarding service and waiting times – ‘teething problems’ for a new establishment. On our recent Saturday night outing, staff cautioned a ‘2 hour’ wait for seating. Our party of eight were more than comfortable with only a half hour catch up in the bar before our table was ready. Maybe this was a case of under promise and over deliver? We were seated in the upstairs dining area, which looks to be set up for larger groups. We looked out to two huge tables (6 – 10 pax) on the deck, as well as an amazing view of Lake Taupo and the central plateau mountains. I noted that one of these tables remained vacant for most of the night. Our only complaint is that our drinks orders were very slow. There is a full bar upstairs, but apparently the order has to go through the downstairs bar, which means you go thirsty waiting for the bar staff there to finish serving the patrons who are in the bar, waiting for their tables. Confused? So were we! Lone Star has a cowboy theme, and many of the menu items are named in the same fashion. Our group thoroughly enjoyed our generous sized meals. The husband, obviously after a pick me up after all our Christmas spending, ordered a Feelgood Fillet ($36) – 225g of beef, served with potatoes, mushrooms and spinach. His summation – “the best steak meal I’ve had in a long time”. My vegetarian burrito ($27) was very filling, served with chunky potatoes and the most amazing coleslaw (red cabbage, pumpkin seeds, celery, corn, carrots, tomato, and loads more). The two ladies who ordered the Redneck Ribs (nine ribs for $26.50) both agreed that the first two or three in the stack were delicious, but the rest lacked enough sauce and were a bit bland. 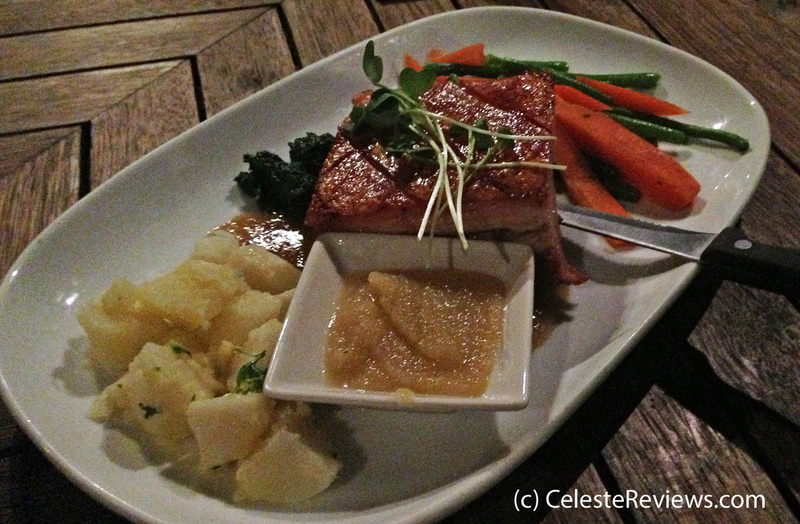 One very pregnant member of the group, chose the fish dish (Rock the Boat – $28.50) and was impressed. The other males at our table finished off lamb shanks and various steak dishes, grunting in agreement about how enjoyable their meals were. 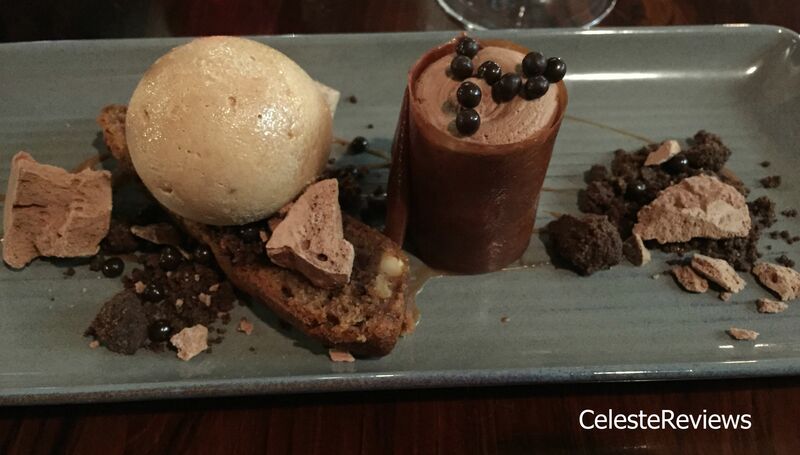 Because calories don’t count when you are on holiday, we shared a selection of desserts. The husband and I did our best to finish the decadent Jack Daniels Chocolate Fudge Pudding – a self saucing pud, covered with Jack Daniels. Yum, yum, yum! I didn’t indulge in the Banoffie Pie, but it looked incredible. I did, however, enjoy more than one mouthful of the Longhorn Cheesecake (Kahlua and Moro Bar flavoured), which was out of this world. Lone Star is worth a visit just for the desserts alone. We had a fabulous night, ate way too much tasty food, and basically had to be rolled to the car at the end of the evening. In a Nutshell: Great location. The food is consistently delicious, and the portions generously sized. However, if you are after great service, or are feeling thirsty, you may want to give them a few more months to practise. Top Tip: Get your name on the list early, and if you want a great view, ask for an upstairs table. “Bonsoir”. You know you are in for a dining experience when you are greeted authentically at the door. 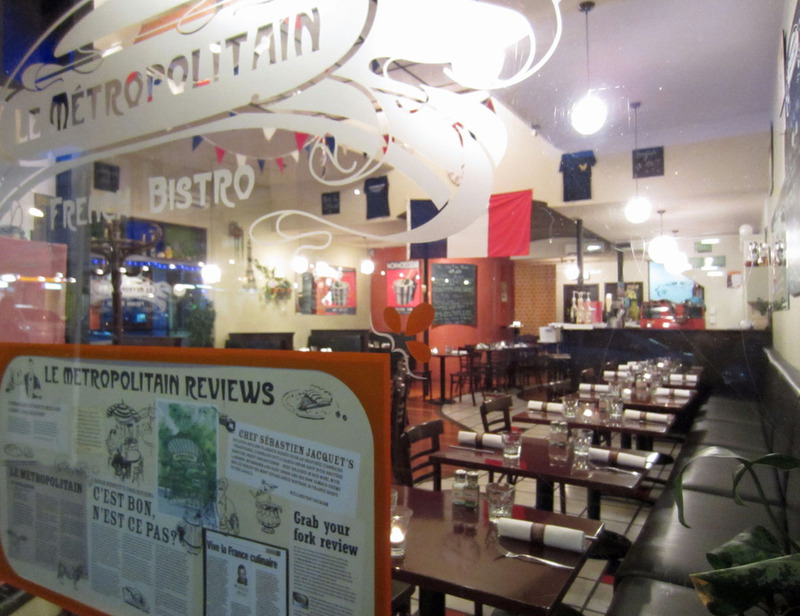 Here I was in Wellington, seated at Le Metropolitain French Bistro, sipping a lovely glass of La Violette Viognier 2009 (keeping with the French theme) and waiting for our friends to join us. I find dining in an unfamiliar city can be a bit hit and miss. But watching patrons literally pour through the door, and staff turning away those without reservations, surely made for a good sign. 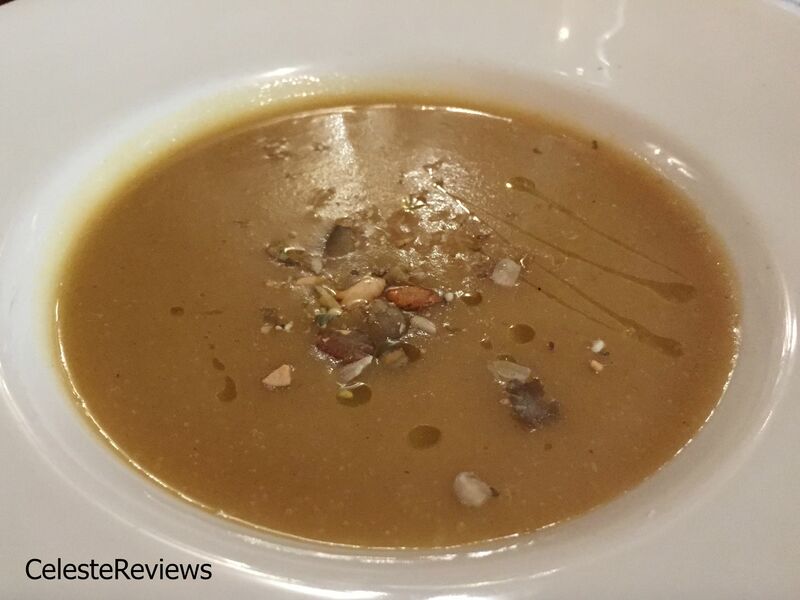 The restaurant boasts simple, honest French food, with the menu including many traditional classics; French onion soup, d’escargots (yes, snails), tripe and cheese galore. The meat eaters at the table took a great deal of time to make their ordering decision. 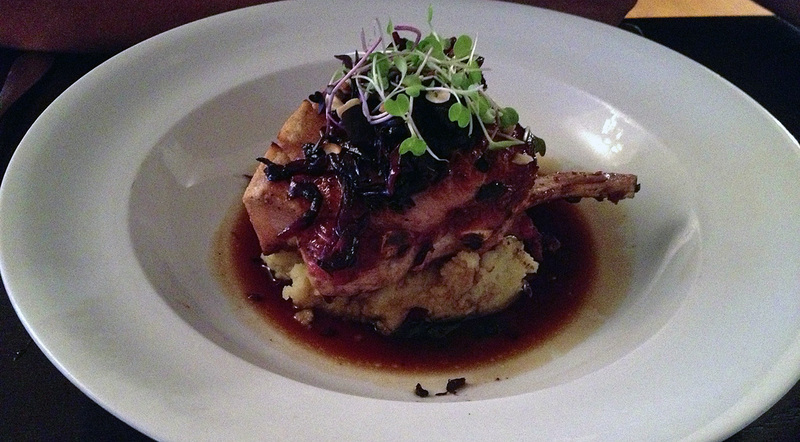 One selected the slow cooked leg of lamb in a red wine and mushroom sauce ($26), and was very content with his choice. 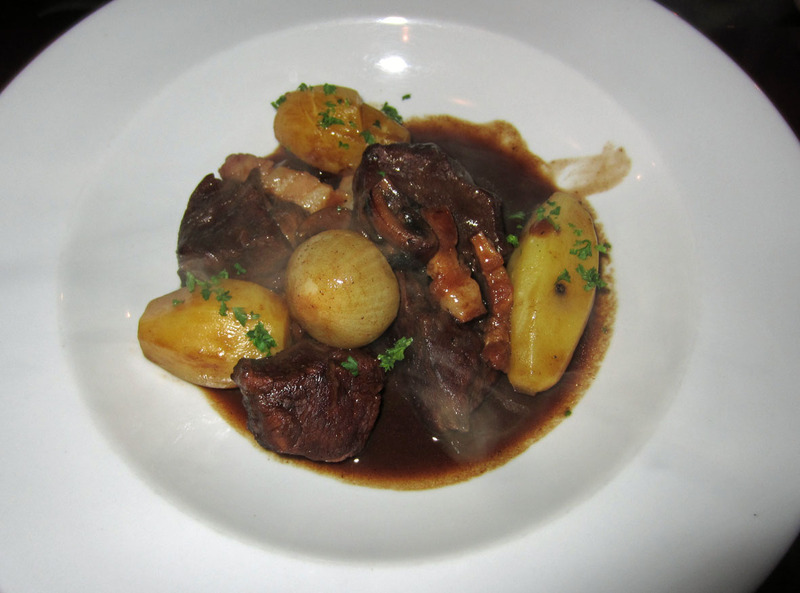 Another chose the Boeuf Bourguignon ($25) – braised beef in red wine with mushrooms, onions and potatoes. 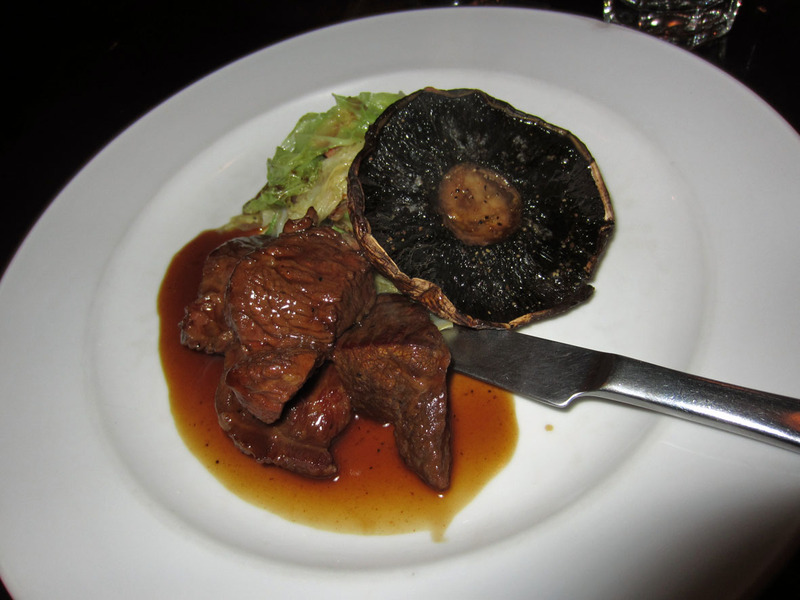 Although it was beautifully plated, the beef was described as “nicely cooked, but with absolutely no flavour”, making it more than a little disappointing. The husband was lured by the chalk board special of braised Angus brisket in a dark ale, with mushrooms and savoy cabbage ($26). In my limited culinary experience, I always associate French meals to be very small portions, and in this case my husband agreed. Although he thoroughly enjoyed this flavoursome dish, we had to feed him again later on in the evening. There were three vegetarian options on the menu, and I would have been happy with either linguine, gratin or risotto. 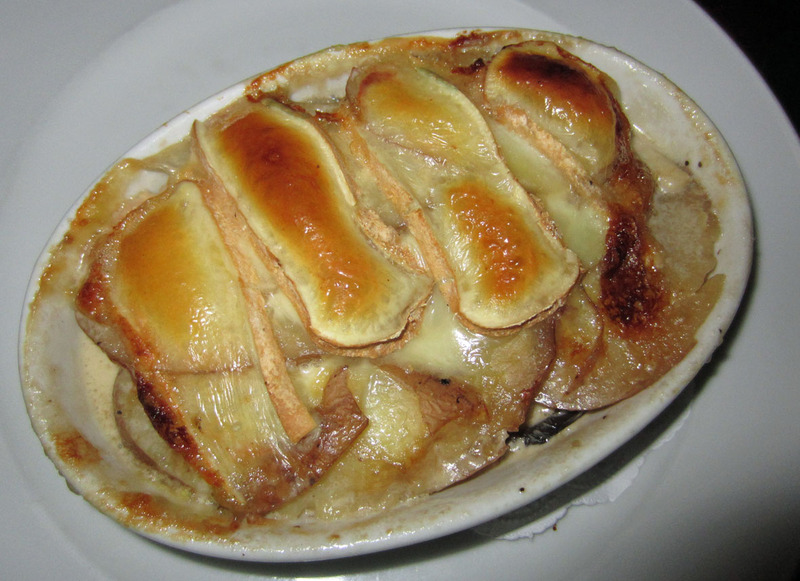 I decided on the Portobello mushroom and potato gratin with Reblochon cheese ($22) as it’s not a dish I’m often offered. The gratin proved hearty, filling and very tasty, however it would have benefited from a side of greens. 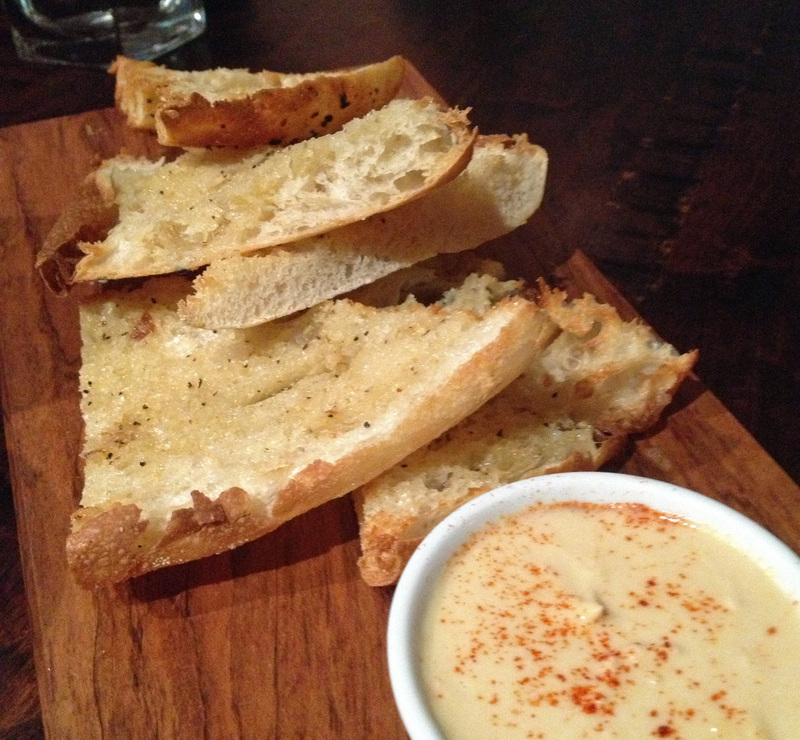 The restaurant has a great vibe and ambience, with authentic French speaking staff. Bon appetit a tous. Top Tip: Make sure you order a side of greens to complete your meal. In a nutshell: We’d definitely return for another enjoyable dining experience. 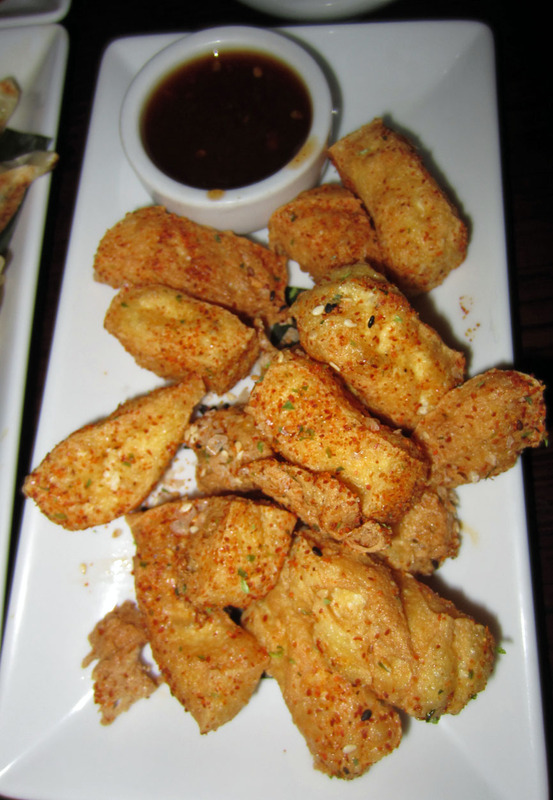 Three words: Blue Cheese Wontons. They sound so wrong, but by crikey they taste good. On a recent trip to Wellington, our friends lead us up the cobbled path to the big red door of Chow. Chow is pitched as ‘Fresh Asian’ cuisine with a second premises in Tory. 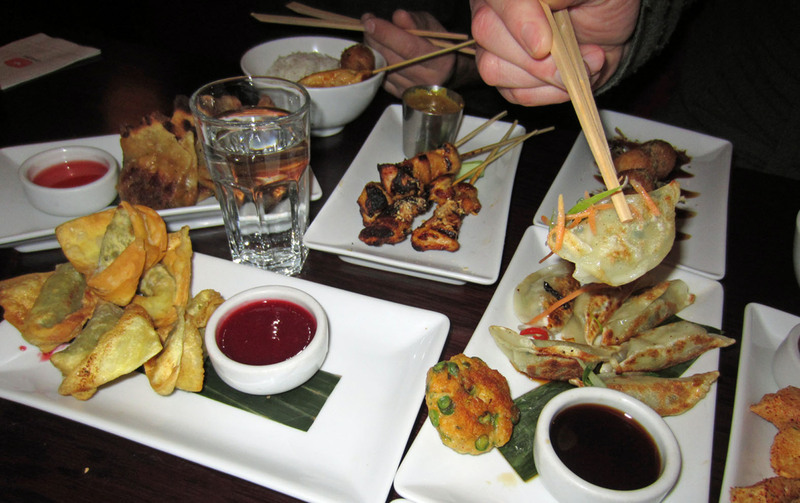 With five hungry mouths to feed, we shuffled into a booth and ordered a selection of dishes to share. 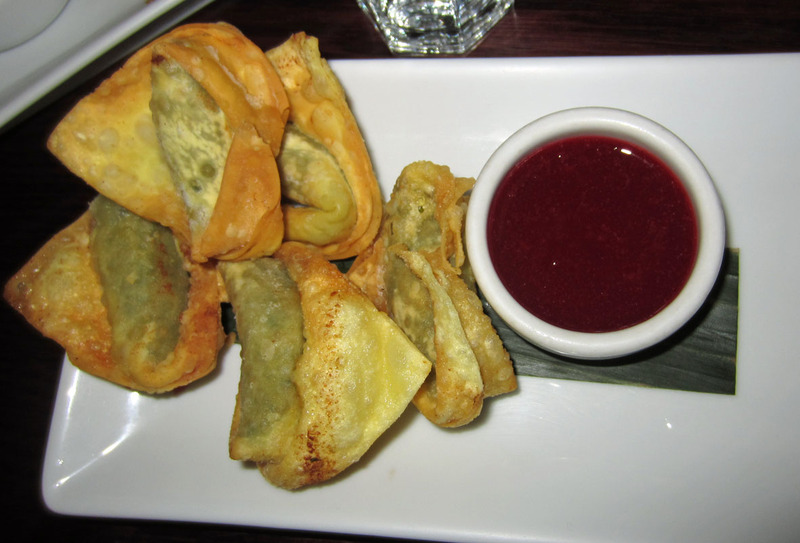 We inhaled the aforementioned wontons, and ended up ordering two portions of this delicacy to keep everyone was content. The carnivores at the table enjoyed salt and pepper squid with wasabi mayonnaise ($12), thai fish cakes ($15), chicken satays ($15), and the chang mai chicken red curry broth with noodles ($19). As per my previous blogs, you’ll remember that Takoyaki Octopus Balls, are one of the husband’s favorite dishes. Chow’s interpretation did not disappoint him. Also worth a mention was the Beggars Purse dish, consisting of deep fried pockets of Chinese greens, bamboo, peanuts and mushrooms ($11). These were very tasty, along with the Leek and Ginger Gyoza ($8). My star dish of the evening was the Seven Spice Tofu ($9). The texture of the tofu was crunchy and devine, and while the spices burnt my lips, he flavour was fantastic and I just could not stop eating them. The word ‘tofu’ tends to scare off a lot of the punters, which means there is always more for me to consume. One word of warning for those with delicate constitutions – most of the accompanying dipping sauces were very hot and spicy, and not for the faint hearted. Chow is decorated in a modern industrial theme, with dark wood tables and red booths. The atmosphere is fun and the staff were very friendly, although that may have been the Asahi beers talking (which were a great match with spicy food, by the way). In a nutshell: A perfectly tasty spot for catching up with friends. I’m hoping they’ll open a branch in Auckland.